The bar area between Rainforest Cafe and the entrance of the park was heavily refurbished. Looks like they are expecting to reopen it once crowds arrive for Pandora. Pandora looms in the distance. 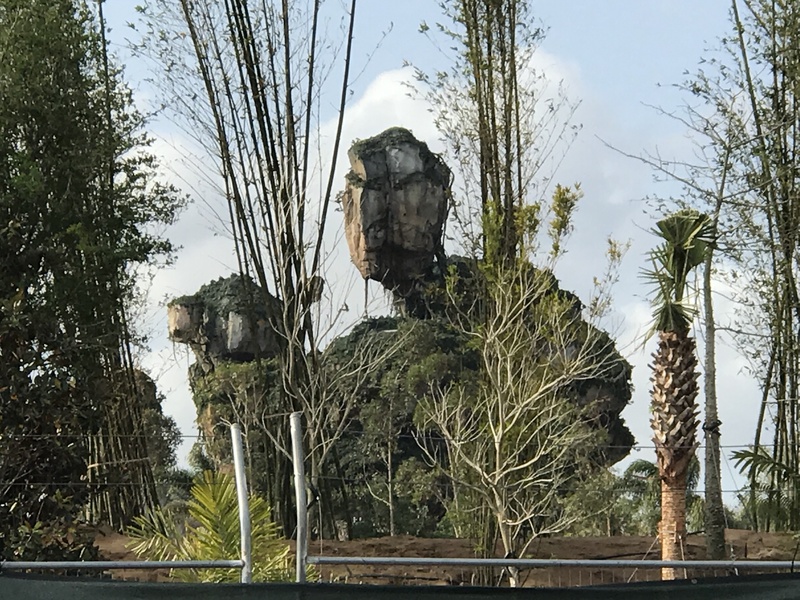 A look at Pandora from the Animal Kingdom bus loop. Work continues on the expansion of the bus loop. I always make sure to visit the Babirusa on my way through the Oasis. The passholder tiger shirt pictured is now sold out. They are not expecting more. A very shiny Rivers of Light logo pin. The light-up ear hat ornament is pretty neat. A variety of other glowing products are sold, including a fan and a necklace. 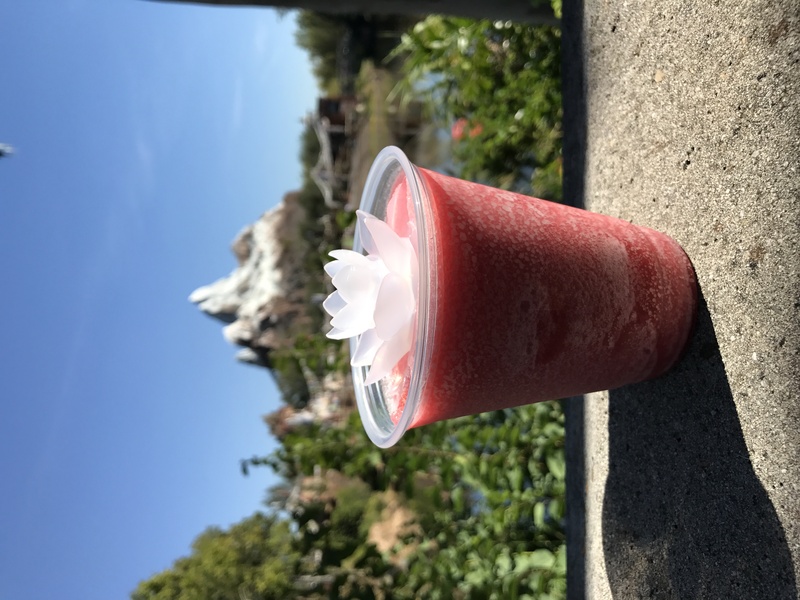 The most popular light-up item seems to be this lotus blossom “glow cube”, sold with beverages at the Thirsty River Bar by Expedition Everest and several other bar locations. If you would like a drink recommendation, the Khumbu Ice Fall is my personal favorite. An Easter Mickey Mouse plush is now available. A limited edition Easter MagicBand 2 was released recently. Stitch also got a new MagicBand 2 design. For $18.99, guests can get a set of Star Wars crayons shaped like characters from the films. A new Mickey Mouse picture frame for sale. Strangely, almost every item in Riverside Depot was on sale if you were to buy multiples of them. There was even more on sale, but you get the idea by now. Combined with an annual passholder discount, it may not be a bad time to do some early Christmas shopping. The Drinkwallah in Asia now also serves cinnamon-glazed nuts. The Pocahontas meet and greet finally got a real sign to replace the FastPass+ sign that was never used. The Express Bus stop in Africa has moved, turning its former check-in location into a FastPass+ kiosk. Since his sign is back, it looks like Willie the Anteater may be returning home to the Oasis soon. He hasn’t been here for at least 2 years. There are now map recycling bins as you leave the park. How soon until we see these at other parks? Why was this ever even painted on the ground in the parking lot? The Ant Eater’s Name is Annie. 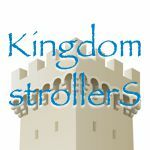 Welcome to the worst WDW site online. The site is WDWNT. Getting information or spelling correct isn’t important. Annie was in her enclosure (napping in the corner) when we visited on Sunday! BTW, Willie is the aardvark at Rafiki’s Planet Watch. Where is the new Express bus stop now, if it moved? The prices are so ridiculously high. That’s why I bring my own food and don’t buy merchandise. The glowing drink cubes are ridiculous. Shouldn’t cost more than a dollar at any cheap discount store. I’m sure Disney will get lots of buyers who can’t resist. No one wants to hear about your depressing soggy sandwich lunch and lack of disposable income. I don’t bore you with my preference for high-end meals and affinity for collecting memorabilia. Save your sob story for the cashier at Walmart. Whoa. Tom, is the guy in the totem pole cart photo your long lost brother? I don’t know why people post such negative comments. I love the photo reports! If you don’t like them then shut up and leave…… Keep these photo reports coming. They make my day! I agree, love the photo reports.